It’s important to find a reputable rescue before adopting a dog. Asking your family and friends for reference is a great start. The next step is to ask a lot of questions to make sure its a rescue you feel comfortable getting your dog from. Each week I will be choosing one rescue and asking all the questions for you. I have the pleasure of volunteering for Fetch WI as a foster home and a home visit representative. I may be a little partial, but I think they are the best dog rescue in our area. If you’d like to read some of my personal experiences about fostering Fetch dogs, head over to our FosterTails page. 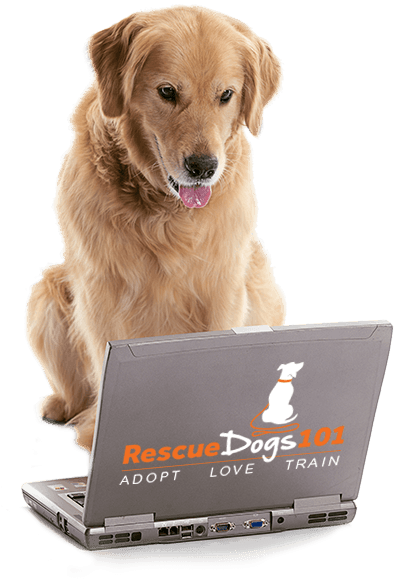 We have all the resources you need when adopting a dog right here on Rescue Dogs 101. Q: Are you a 501(c)(3) non-profit organization? Q: Does your state have specific laws around dog adoptions that people should be aware of? A: We’re required to maintain a Dog Sellers License through the Department of Agriculture, Trade and Consumer Protection. The license requires, among other things, that each dog have a valid certificate of veterinary inspection issued fewer than 30 days before being adopted. The certificate of veterinary inspection certifies that, to the best of the veterinarian’s knowledge, the dog is healthy, adoptable and free of any contagious diseases. Q: What inspired you to start your rescue? A: Many of the founders of Fetch volunteered with other rescues or shelters and saw a need for an all-breed, foster home based rescue that could help keep local dogs out of shelters as well as save dogs from high-kill shelters in other states. Q: What makes your rescue different than others? A: Even the best shelters can’t compare to a loving foster home. Fetch is a completely foster home based rescue, meaning all of our dogs live in a home with the volunteer, their family, and a max of 2 foster dogs. This allows them to relax and get the best care while waiting for their forever home. Foster volunteers learn more about the dogs personality because they spend so much time with them and see them in an environment where they’re comfortable. Fetch’s mission is to re-home and rehabilitate at-risk dogs, and be a part of creating a society in which every dog is valued and provided proper care and compassion. A: Fetch takes in owner surrenders from local families that, for whatever reason, need to re-home their dog. By taking in these owner surrenders we help keep dogs from ever entering shelters. We also work with partner shelters and rescues, primarily in states in the southern US, to take in dogs from rural areas and high-kill shelters. Q: Do you ever bring dogs in internationally? If so, why? A: We’ve rescued 1 dog from a meat farm in South Korea, but outside of that we have not done any international rescues due to the increased challenges with laws and logistics. We do take dogs from as far away as Texas and Puerto Rico. A: Adopters first complete an online application, and once that’s processed one of our volunteers goes to the adopter’s home to discuss what type of dog might best fit their family and home. After the home visit is completed the adopters work with our volunteer adoption coordinators to determine which available dog they’d like to meet. The adopters are connected with the foster family and meet the dog in the foster home, where the dog is most comfortable. After the meet and greet we ask that both parties take 24 hours to think and decide if this will be the right fit. If it is, we go ahead with the adoption! Q: Do you have any specific requirements for adopters? A: Adopters must follow our process and sign an adoption contract prior to adoption. Some dogs may not be the right fit for a particular home, but we’ll work with adopters to try to find the dog that’s right for them. Q: Where can they find the dogs you have for adoption? A: All of our dogs that are available for adoption can be found on our website at www.fetchwi.org/adopt. Q: Do you hold any special adoption events? A: We don’t hold any adoption events. We require that anyone adopting a dog from us go through the same process, and we don’t do same day adoptions. We do hold fundraising and awareness events and we bring some of our cutest puppies to these events to supply cuddles! Q: Are the dogs fully vetted including all vaccinations and spayed/neutered before adoption? A: Yes, all dogs adopted from Fetch are spayed/neutered. They also receive a microchip, are current on all core vaccines (Rabies, Distemper and Bordatella) and have a clean intestinal parasite screening. They’re also tested for heart worm and tick-borne illnesses. Many dogs have additional vetting done if needed, such as dental cleanings or surgeries. Q: Do you have a location people can meet available dogs or do the dogs live in foster homes? A: All of our dogs live in foster homes. Q: Do you offer a foster-to-adopt option for families? A: Yes, fosters have the first option to adopt their own foster dog. Silla was our first foster dog. She was a 10 year old lab mix that was with us for almost 5 months. Q: What is your biggest challenge when finding homes for your dogs? A: The biggest challenge is finding homes for senior dogs and dogs with behavioral concerns or medical issues. Thankfully we’re able to provide all needed vetting for dogs in our care as well as specialized training when necessary, but those dogs with special considerations can still be more challenging to place in a foster home as well as an adoptive home. Q: Do you offer any after-care support for families that adopt a dog from your rescue? A: We have an online adopter portal with resources, recommendations and special deals at sponsor businesses for adoptive families. Q: What happens if someone adopts one of your dogs and decides it is not a good fit for their family? Do you take the dog back? A: Our goal is for every adoption to be successful, but we know that on rare occasions adoptions don’t work out, for a variety of reasons. We ask that adopters contact us recommendations and, if truly necessary, to return the dog to our care. Q: Is there anything else you feel people should know about your rescue and adoption process? A: The more foster homes we have, the more dogs we can save! We’re always looking for additional volunteers. More information can be found at www.fetchwi.org/foster. If you have a rescue you feel is worthy of recommending for our In the Spotlight series, please contact me today!